Add an Egg to Your Oatmeal for a Smoother, Creamier, Higher Protein Breakfast - Utter Buzz! 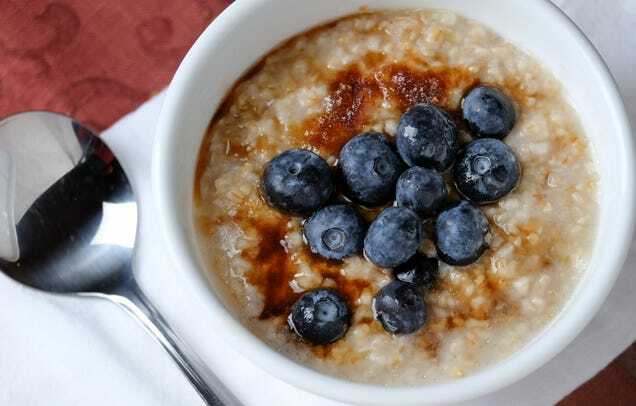 Some people love oatmeal by itself, but add anything to it—a banana, a scoop of protein powder, peanut butter, or an egg—and you transform it into a slightly different but still delicious meal. Here the egg adds a fluffy, almost buttery texture but retains a neutral flavor to soak up the flavors of anything else you add.